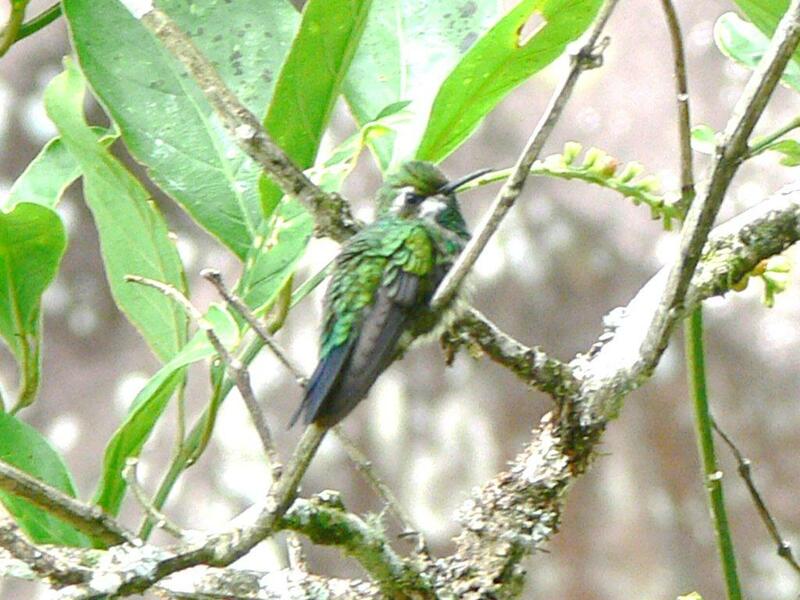 Here are 3 photos of a strange White-throated Mountain-gem like hummingbird I took at the Janson Family Coffee farm's coffee house near Volcan Lakes last April. 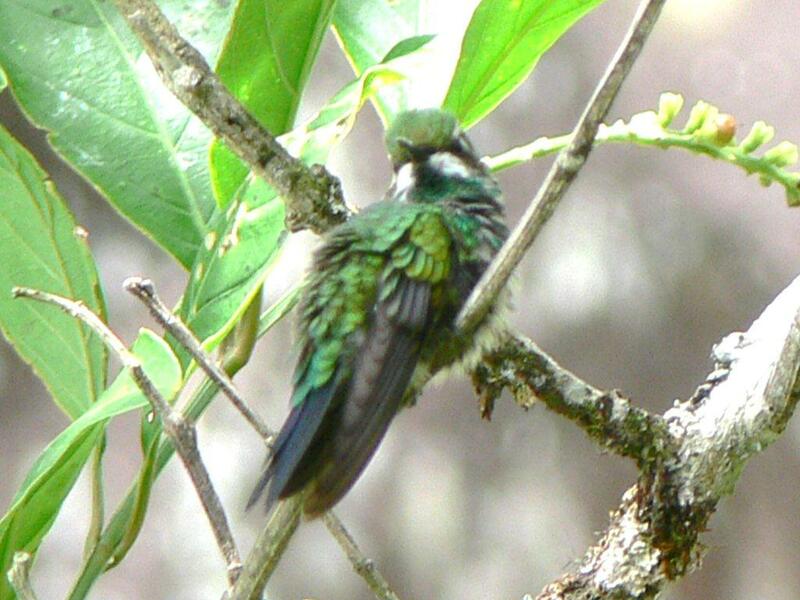 The bird was in company of a female White-crested Coquette. Even with reference books in hand and more than 30 minutes or so of observation I was unable to confidently identify the bird. Hence, this email requesting that you post these photos in hopes that someone else might be able to. 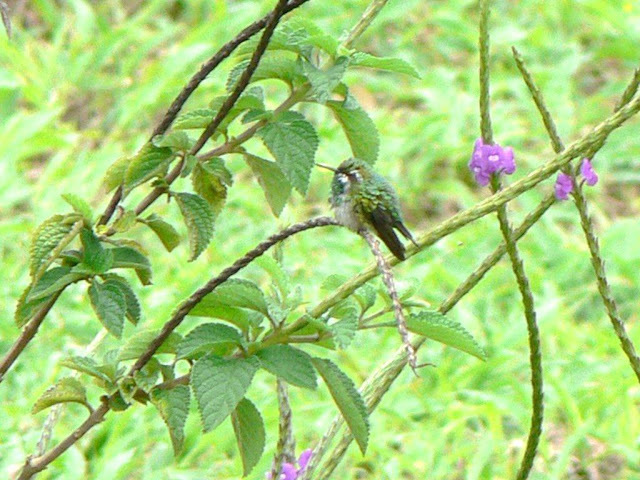 Though the photos represent the bird they do not do justice to this hummer's "glittering" green throat that extended to the lower mandible but also exhibited white to either side of the green. As a prelude to this email I have been looking over online reference photos for both the White-throated Mountain-gem and Green-breasted Mountain-gem with none quite fitting this bird's color patterns. am I the only one noticing that the report also includes a female WHITE-CRESTED COQUETTE!! !